People have used biomass energy, or “bioenergy,” the energy from plants and plant-derived materials, since we first began burning wood to cook food and keep warm. Wood is still the largest biomass energy resource used today, but other sources of biomass are also common. These include food crops, grassy and woody plants, residues from agriculture or forestry, oil-rich algae, and the organic component of municipal and industrial waste. Even the fumes from landfills, which contain methane or natural gas, can be used as a biomass energy source. Biomass has historically supplied approximately less than ten percent of the total energy used in Idaho. However, there is sufficient biomass waste available (from forest and logging residue, municipal solid waste, agricultural residues, animal waste, and agricultural processing residue) to meet a larger share of Idaho’s energy needs. Feedstock projections indicate that Idaho produces over 2.5 million metric tons of wood-waste from forests, mills, and urban sources respectively. Idaho has three dedicated biomass production facilities with annual capacity status and many research operations across the state. While the state does not currently play a role in the production of biodiesel, its biogas [or renewable natural gas (RNG)] potential is promising. Given Idaho’s current resource portfolio in sorted municipal waste, agricultural residues and animal waste, policymakers and scientists can anticipate potential market opportunities as the technology continues to develop. On a life-cycle basis, advanced biofuels and biogas can reduce greenhouse gas emissions by over 50% compared to petroleum – helping to reduce environmental impacts. In addition, with limited fossil fuel reserves of its own, Idaho can expand its production of biofuels and biogas to keep transportation dollars in the state, stimulate economic development, and add to Idaho’s 24,000+ jobs in green goods and services. 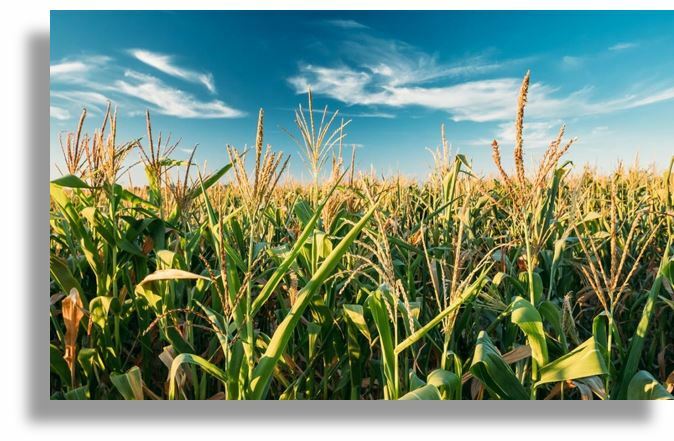 Biofuels – Converting biomass into liquid fuels for transportation. Biopower – Burning biomass directly or converting it into gaseous or liquid fuels that burn more efficiently, to generate electricity. Bioproducts – Converting biomass into chemicals for making plastics and other products that typically are made from petroleum. Idaho had 84 MW of installed capacity of biomass electricity generation in 2016 which produced approximately 531,573 MWh, or 3.4 percent of Idaho’s electricity production for that year. As of 2018, Idaho has one operating ethanol plant capable of producing 60 million gallons per year. There is no commercial production of biodiesel in Idaho. From 2005 to 2012, the U.S. Department of energy rewarded the state with over $77 million in grant funding to advance biotechnological research in academia and industry to enhance the scalability of this resource. Capital investments in this field of research have allowed the University of Idaho to make significant strides in the manipulation of cellulose from straw for biofuel and research the socioeconomic impacts of wood-based biofuels development strategies on Northern Rocky Mountain Communities. These inroads have also been showcased at the Idaho National Laboratory in Idaho Falls, where researchers have developed the Feedstock Process Demonstration Unit (PDU) which allows a modular biomass processing unit to be configured for field deployment with relative ease. Currently, Idaho National Laboratories has made significant strides in reducing the logistical cost of producing bioenergy resources by introducing practices such as high-moisture pelleting, fractional milling, adaptive control technologies and supply-side least-cost formulation and blending processes. High-Moisture Pelleting- Reduces the reprocessing cost of pelletized biomass by 35%-40%. Fractional Milling- Decreases energy consumption for biomass processing by 40% and increases biomass throughput by 80%. Intelligent and Adaptive Controls- Systems that utilize algorithmic models to offset variability. This technology is credited with generating a 50% increase in reliability of feedstock processing equipment. Least-Cost Formulation and Blending- INL researchers achieved a 46% reduction in grower payment, an 18% reduction in harvest and collection costs, and a 94% reduction in dockage costs using this method.